Whenever you need a lock installed, whether it is to replace an existing lock, or a fresh drill installation, you will be in good hands when you call Darren Essen locksmith. We carry a full line of namebrand locks to serve all of your security needs. We always have in stock, major brand name manufacturers like, Arrow, Schlage, Marks, Baldwin, U.S. Lock, Kwikset, Adams-Rite, Ilco, Master, Segal and Yale and many more, just to name a few. 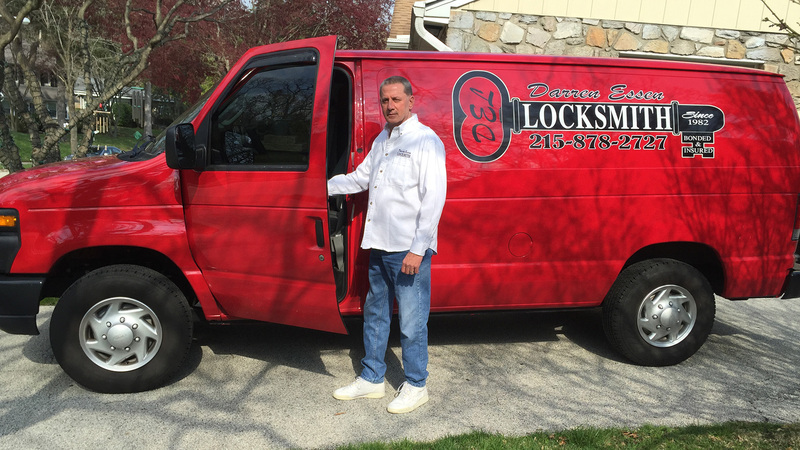 We offer same-day installation service, because chances are that the lock you need is in stock, in our service vehicle at the time of your service call. It is very rare that we would have to leave your job site, to go and try to locate the lock that you need. Have your locks installed by a locksmith that you can trust, Darren Essen locksmith, since 1982. Call 215-878-2727.